Change your phone's start screen tile color to ANY COLOR YOU WANT. With Custom Tile Colors, your start screen is no longer limited to just a few color choices. Choose from any color in the rainbow, and make your phone truly unique. 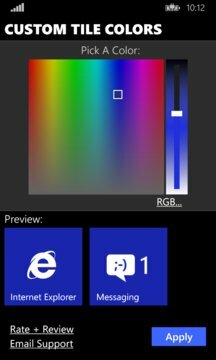 Custom tile colors is a simple but incredibly useful customization app. 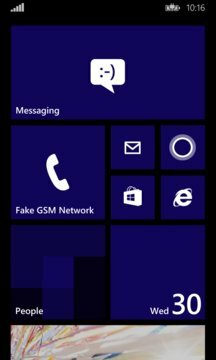 Choose a custom accent color for your live tiles.